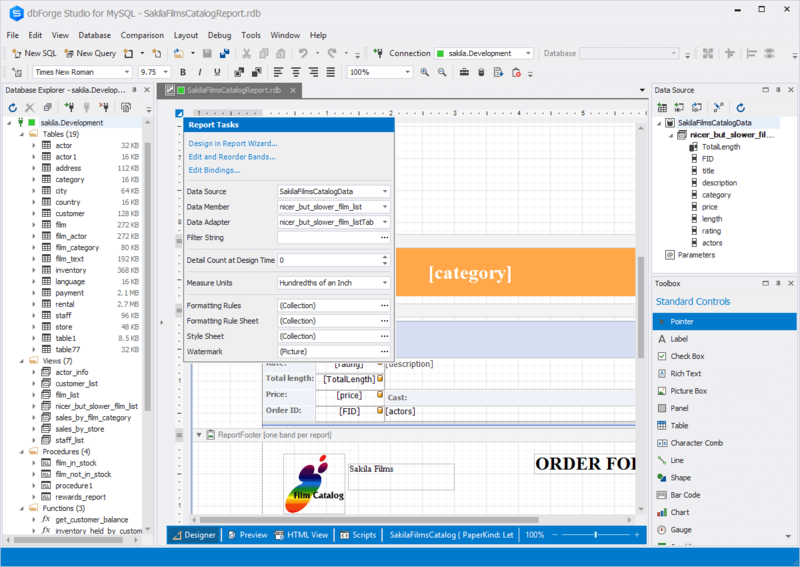 Design in minutes any data reports with parameters, customizable formatting, calculated summaries, etc with the help of the MySQL reporting tool provided by dbForge Studio for MySQL. 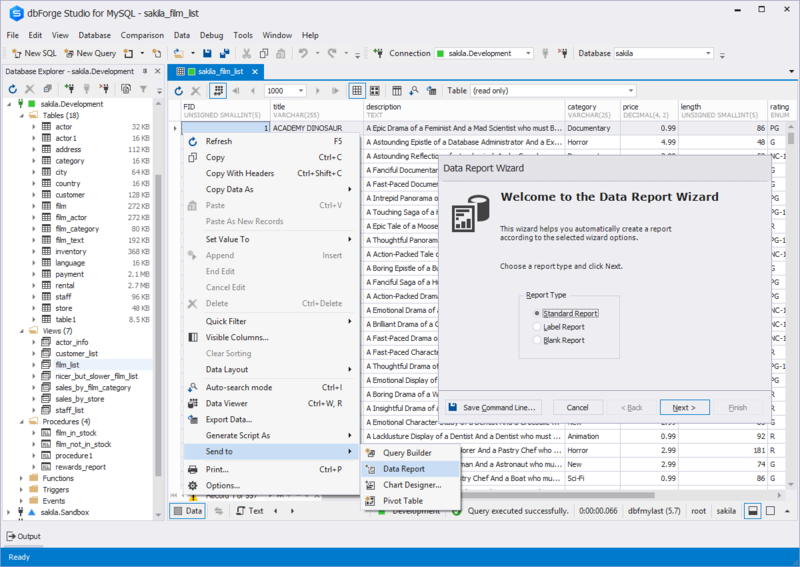 Streamline your work with multi-dimensional data, visualize data trends and dependencies, make quick but reasonable business decisions, convert your data into professionally-looking pivot tables. 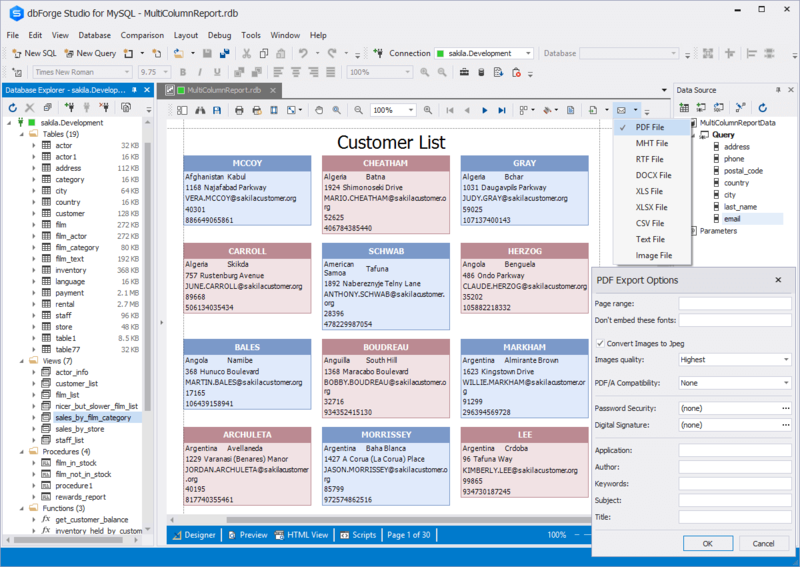 In addition, Master-Detail Browser in dbForge Studio for MySQL allows users to view and analyze related data all together in a comprehensive and easy way. 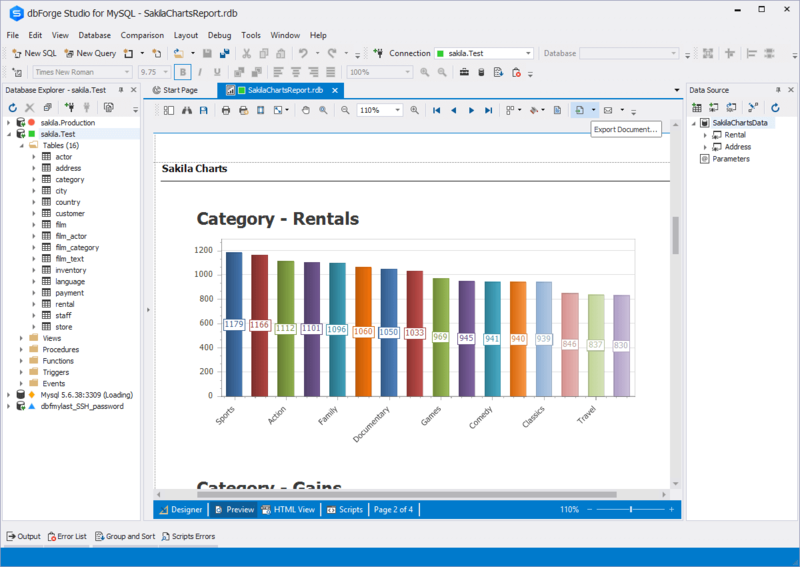 Charts are visual illustrations of your SQL data. In one glance, a viewer can come to an immediate understanding of the numbers. 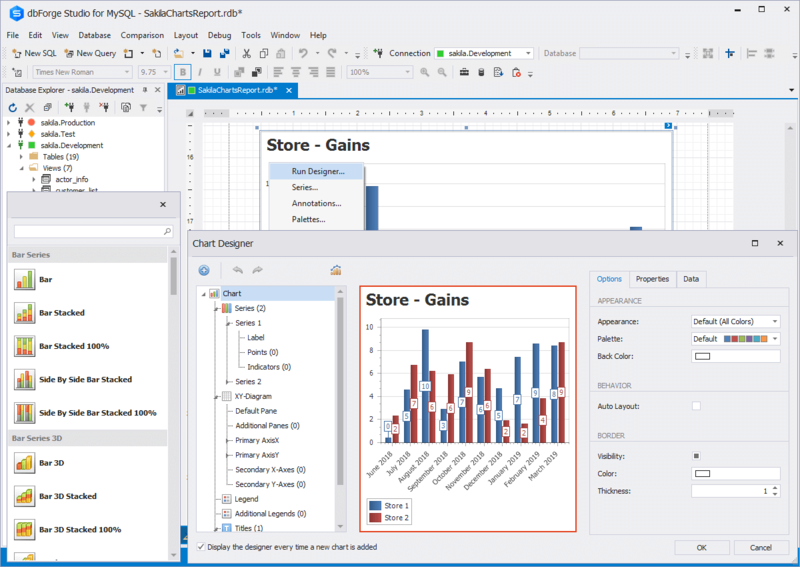 Chart Designer, implemented in dbForge Studio for MySQL, includes a rich chart collection, that will help you to select the best presentation for any purpose. 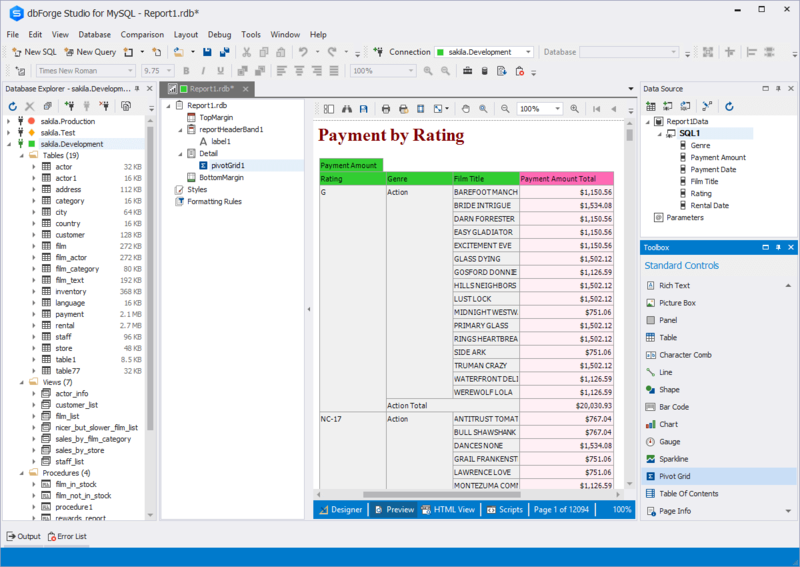 Export MySQL data reports to 9+ widely-used file formats, including PDF, HTML, CSV, RTF, XLS, TEXT, and other supported file formats. 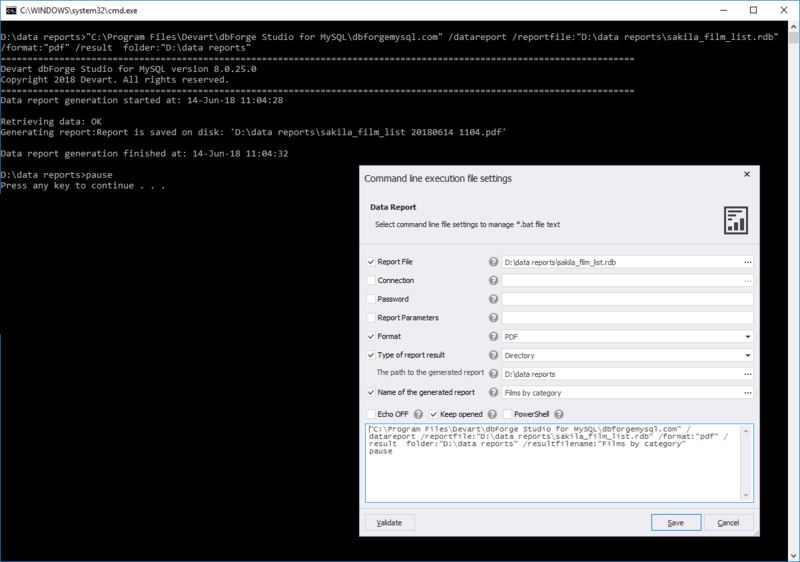 dbForge Studio for MySQL also allows optimizing routine MySQL data reporting tasks by using the command-line interface. 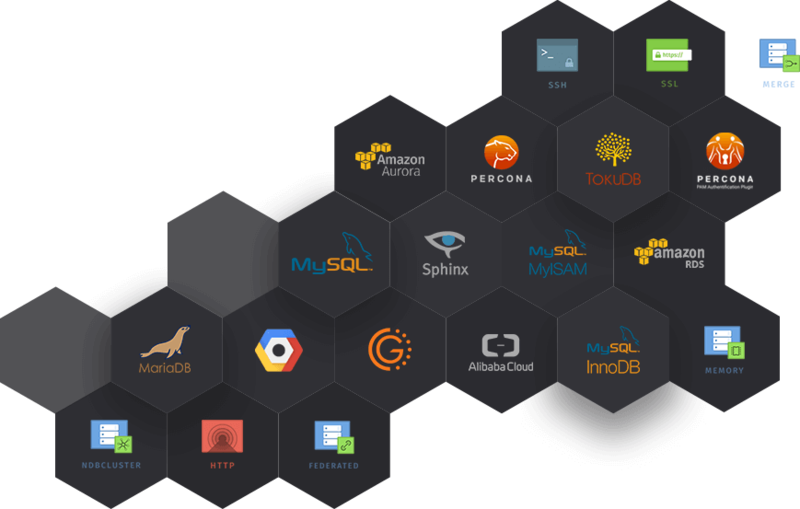 You can also create c command line execution file (.bat) and run it whenever you need to get a fresh MySQL data report.